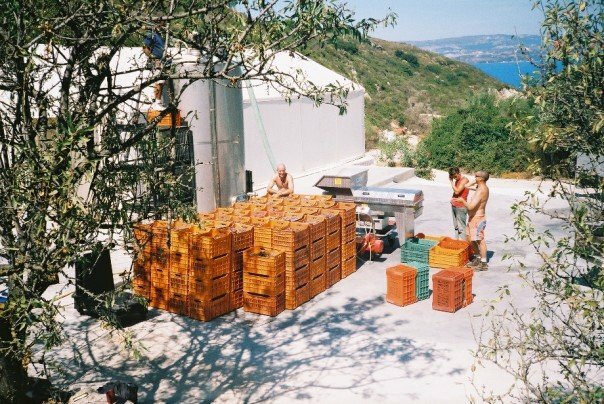 In 2004, I lived on the Greek island of Kefalonia for a few months to do some grape picking. Here is the brief story as to how that came about, and what I got up to! In May 2004, I returned from a backpacking adventure around India by train, and worked for a couple of months in the UK. 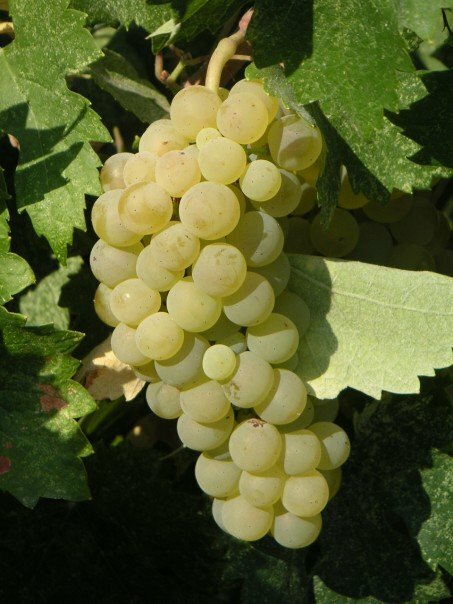 During that time though, I was in contact with someone in Kefalonia who needed help with a grape harvest. 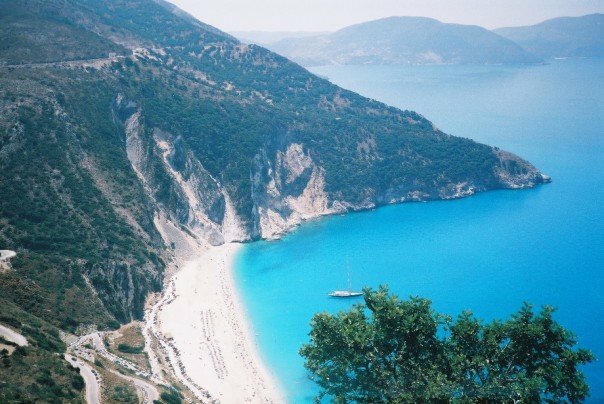 Always willing to try something new, I booked myself a flight, and made my way over to the Greek island of Kefalonia to see what would happen! I spent a couple of months living on the island of Kefalonia in the same tent that I had started my original travels with many years before. It occurred to me somewhere along the line, that I had actually spent an accumulated 2 years living in that tent! That was back in the days when Vaude made some good ones! The tent was set up in an olive grove, which itself was part of the grounds of a house. The house was owned by Gabrielle, who was the chief wine maker for Gentilini Wines at the time. 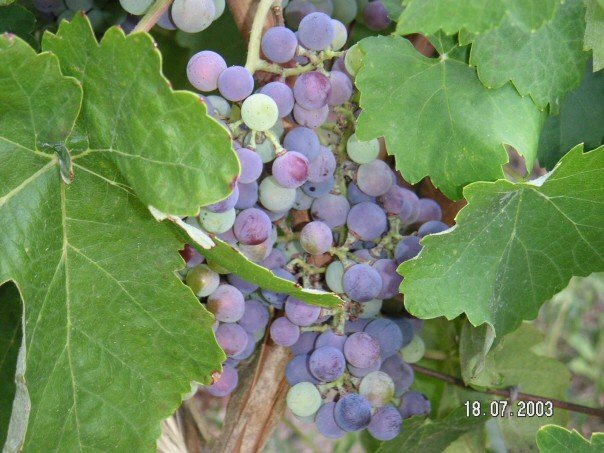 My days saw me picking grapes for either Gentilini Wines or some of the other local growers in the mornings. The afternoons, were either spent in pain through my back, or loading grapes into the press. More often than not, it was both! Beers and kebabs helped the days pass by, and led to some good conversations at night. During one spell, we had to turn the wine over every several hours in one of the vats, which meant being up at all hours. At one stage, I even put labels on the wine, and bottled some. All in all, it was an amazing experience, and one i would happily repeat in another country at some point. A few months later, I was posted 3 bottles of the wine that I had made, and the one bottle that I haven't consumed is one of my rarer prize possessions. never to be opened! My memories are of a cracking bunch of people, so my thanks go out to Gentilini wines, Gabrielle, Roger, Petros, Marriana, Carolina, Mike and all the rest. If this has given you a taste for Greek islands, then you HAVE to check out this blog post about sailing the best Greek islands by Jet-Settera. That certainly seems to be the way to do it!. Little did I know at the time, but I would eventually end up living in Greece! Since then, I have written dozens of travel guides to Greece. Take a look by starting here, and you could also sign up for my newsletter!